I am a native Texas girl born and raised in the West Texas desert country who grew up in a small town of only 500 people. After my high school graduation I got married and my husband and I moved away. We migrated to different places and eventually ended up in Dallas, Texas. There we started our family and had two children. I worked full-time as an Executive Assistant in the Marketing department of a chemical company after having my children but I was always “searching” for a legitimate work-from-home opportunity. One day I saw an Avon brochure in the break room and was thrilled to find out someone was selling Avon at work. It reminded me of the days when my mother was an Avon representative in the 70’s and I helped her bag orders and put the little bullet lipstick samples in the bags. However, it never crossed my mind that I could become an Avon representative. A couple of years later, my husband was offered an opportunity to relocate to Denver. We both love the outdoors and enjoy camping, hiking and archery. And Denver was a lot smaller than Dallas. We felt it would be a better place to live and raise our children. So we moved and purchased a home in the foothills of southwest Denver where we still reside. We moved into our new home and got settled. Then the loneliness set in and so did the financial stress. I also didn’t realize how much snow we would have to deal with and I was not excited about driving in that stuff. Then there was the anxiety of leaving the kids with a stranger so I could go back to work. Again I began looking for ways to earn money from home. I had about six months to figure it out before having to do the full-time thing again. Desperate to find ways to make money at home, I joined a couple of network marketing companies. One in household products and the other in baseball cards. Neither worked out. Mainly because I was afraid to talk to strangers to offer my pitch. How could I sell anything to a stranger? If only we had family at least. But we had no family, no friends, nada! The adjustment of moving from one state to another was difficult. I started my search again for the perfect work from home company but nothing really appealed to me. One day as I left the house to get some groceries a neighbor left an Avon brochure at my door. As I looked through the catalog, I was amazed at the variety of products they offered. Their skin care line caught my eye because I needed to find a replacement for my expensive night cream and I couldn’t believe how affordable AVON made it for anyone to try their products. I ordered from my Avon lady for a couple of campaigns and then decided to sign up so I could save money on the products I needed like deodorant, shampoo, conditioner, makeup, skin care, clothes, shoes. Avon had everything I needed and I figured I would be better off becoming an Avon representative just to save money with the discount. So that’s what I did. I signed up and became my best customer. Mainly because I had not stepped foot outside my house to show anyone the Avon brochure. With the encouragement of my leader, I ventured out and started hanging brochures on all of my neighbors doors and then around the block. It never failed; go out and canvass a new area and there would be orders on my message machine before I even got done hanging the brochures. I was so excited! I was picking up several customers each campaign. Enough orders were coming in that I was able to use that extra cash to pay for the things I needed to help my household. As the orders started coming in I felt better about talking to people. I can honestly say selling Avon helped me build my confidence in talking to anyone. I’m still selling Avon! I’ve made lots of friends and some of those people are just like family. I am so grateful to have tried Avon. I’ve built good relationships with my customers and I still have the luxury of working from home (even though the kids are grown and have their own homes). 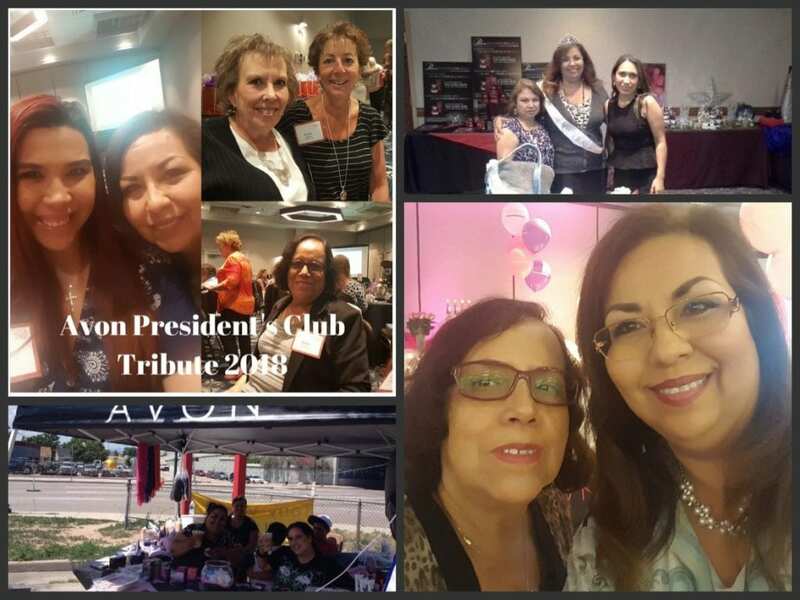 My Avon business has evolved over the years and so has my personal life. I now am a caregiver for two elderly parents and I still need the flexibility of making money from home. With Avon offering a free website, we can sell anywhere in the United States. I love helping my customers no matter where they live. As an E-Representative you can expect the same type of service I give my local customers. 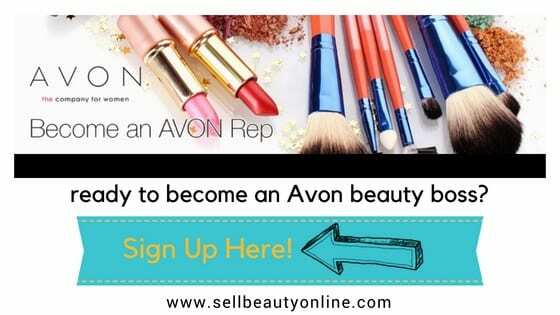 If you are not being serviced by an Avon Representative, I would love to be your Avon lady. Customers should feel valued and appreciated and my online customers are able to connect with me by phone, email, text or social media avenues. I work hard to take online customer service to the next level! Do you ever get contacted by an online retailer to make sure your order was to your satisfaction? Does your online retailer check in on you and offer his support and services? Do retailers send you samples and special gifts in the mail? As an online AVON customer I’ll be happy to send you brochures by mail. Sometimes you just need to thumb through the AVON book as you drink your coffee in the morning. Fill in the blank for the following statement and add it to the comments. Sell Beauty Online was created to help the Team Freedom members increase their business knowledge. In addition to the learning resources, anyone who would like to learn about starting an Avon business or sell Avon online can join. If you are already an Avon representative, this website can be an additional level of support and a great resource.